The Committee set up by the Kerala State Higher Education Council (KSHEC) on Gender Justice in Campuses submitted its report on the subject last month, the same being nothing short of a milestone is the quest for achieving gender equality through effective policy intervention. Dr. Meenakshi Gopinath, Director, Women in Security Conflict Management and Peace (WISCOMP) was the Chairperson and Dr.Sheena Shukkur,Pro Vice Chancellor,MG University was the Convener of the Committee. 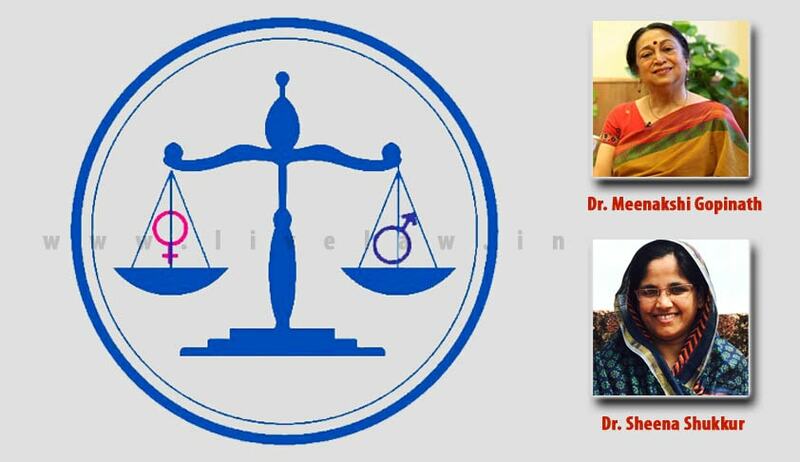 Speaking to LiveLaw Dr. Sheena Shukkur said “Study conducted through ‘Samaagati’ report submitted by KSHEC Committee on Gender Justice in Campuses reveals that there are many differences in the way the two genders are treated inside campuses. Often the segregated spaces and the so called protectionism are extended to girls only to restrict the freedom of girls. The Committee finds that there is a form of apartheid existing in campuses which denies women social equality and dignity. The shocking finding of the committee was that there are gross injustice happening in the award of internal marks by way of harassment, which also lead to different form of abuses. The Committee found that the girl students are the victim of the over reliance to surveillance as well. Discriminatory rules are imposed upon female inmates inside campus hostels in the guise of concern of safety. Hence the need to greater efforts to ensure retrieval mechanism effectively function”. The Report mandates all Government Departments to prepare and submit a Gender Action Plan. It also proposes a Policy Results Framework for action within its organization and for assistance of the Higher Education Institutions. As an immediate measure, it mandates that Universities adopt and enshrine in their statutes, a clearly enunciated policy against sexual harassment. This policy, in line with the UGC directions, must be displayed on the university website and be broadly disseminated through brochures, prospectuses etc. Further, the composition and names of personnel of the redressal mechanisms to counter sexual harassment has been mandated to prominently and transparently be displayed and accessible to all sections of the institutional community. A gender sensitization unit has also been recommended to be established within the KSHEC office, to act as a nodal division and give effect to the policy of zero tolerance. A helpline for sexual harassment will also be provided at the KSHEC for access by students, in addition to anti-ragging helpline. It provides for a guiding principle for the Government, to support at least one girl or woman in every family to access higher education. Provision for adequate day care centres and crèches has also been made. The report takes into consideration the possibility of disruption of education for women due to personal issues or child rearing responsibilities. It hence provides for flexibility in stipulated time frames for women to complete their courses of study. The adoption of the SAKSHAM report on Measures for Ensuring the Safety of Women and Programmes for Gender Sensitization on Campuses, by the UGC in early 2014, along with its far reaching recommendations for Higher Education Institutions to implement measures for gender equality and equity in Universities and colleges, has been receiving wide attention. In the deliberative process of the SAKSHAM Report and during its fact finding proceedings the Kerala State Higher Education Council had organized an Open Forum of Stake Holders in HEIs in April of 2013 and also an elicitive workshop of Coordinators and students of Women Empowerment Cells in universities and colleges in February 2015. In view of this, the Kerala State Higher Education Council set up a Committee on Gender Justice on Campuses on 2nd March 2015, with persons from the fields of academia, law, media, psychology, and NGOs to highlight the factors contributing to the present “unsatisfactory situation and recommend a set of measures to be put in place” as remedies. Besides the SAKSHAM Report, the KSHEC Report also relies on a directive from the Secretary, UGC dated 27 January 2015 that lists the steps that all HEIs are required to take to give effect to the policy of zero tolerance on campuses for gender based violence and harassment. It considers the UGC guidelines on students entitlements as also the guidelines prepared from a security perspective by Ms. Sreelekha, IPS, Commissioner, Thiruvananthapuram. Despite the choice of subjects for study being gendered in reality, the report notes that the women in Kerala have “valiantly entered science domains at the post graduate levels in higher numbers than in many other parts of the country”. It hence gathers hat appropriate and timely incentives provided to them would function as an encouragement. As per the report, the programmes more often than not provide predominantly gender-stereotyped learning experiences. It says that the programmes are unable to equip students to challenge patriarchal mores and, “as a result, both men and women are rendered incapable of questioning the power relations in their own lives and outside”. The report condemns the practice of gender segregation on campus, on pretext of good practice for social health. In this regard, it advocates for a more proactive approach that takes on board the specific needs of women on campuses. It suggests that women friendly public spaces should be created, along with the need to tackle infrastructural inadequacies. “In place of simply facilitating safe and healthy accommodation, hostels become tyrannical spaces for acting out patriarchal control on women,” the report rightly points out. It takes into account the agitation, in summer of 2015, named ‘Break the Curfew’ by the women scholars of the Thiruvananthapuram Government Engineering College, which highlighted the distressing fact that women had to limit their choice of research to suit hostel timings which led them to lag behind in academic performance. This practice has been condemned. The institutions in Kerala lack properly constituted committees against sexual harassment, without clear guidelines on constitution, procedures and methods of functions. This has lead to “half -hearted, responses and little remedial action”, it says. Gender sensitization programmes on campus, involving faulty students and non teaching staff for tackling gender unfair practices. Raising awareness on women’s rights through programmes on women-specific issues through legal awareness camps for both men and women, to tackle issues of harassment. Screening of films, followed by a discussion, to tackle insensitive behavior towards women staff and students. Compulsory or more inviting workshops, training sessions for everybody, to curb excess display of masculinity and moral policing. Establishment and proper functioning of sexual harassment prevention committee to ensure women’s safety on campuses. Regular cleaning of toilets, centrally located toilets, easy availability of sanitary napkins and classes on health and hygiene to further women’s health issues.